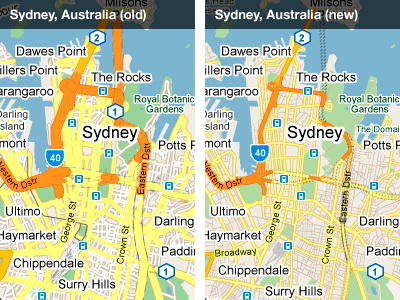 We've just launched some new style improvements on Google Maps. This update was focused heavily on unifying the several localized styles down into a single config that works better worldwide. This has resulted in a much cleaner map style in a significant portion of the world.